What does 5G mean for your mobile speeds? Australian mobile phone users can be a fussy bunch. When you think that only a few short years ago we were suffering through awfully slow and inadequate 2G data speeds, our demands for data and increasing speeds has grown exponentially. Only a short while ago, 4G internet was the latest and greatest – now it’s ‘old hat’ technology. Where to from here? Well, the logical step forward is the introduction of 5G – and the development is happening right here, right now. Read on to get the skinny on some potentially beefy 5G speeds from Canstar Blue. In October 2016, one of the ‘big three’ mobile network operators, Vodafone, in partnership with Nokia, conducted the first public live 5G demonstration in Australia. It all went down at the University of Technology, Sydney (UTS). If you’re already in the know then you’re probably already excited, but for many of us, what does this all mean? The ‘G’ in 5G stands for ‘generation’ and is similar to that of the 4G and 3G networks before it. 5G is a wireless connection built specifically to keep up with the proliferation of devices that constantly need an internet connection. 5G is not being built for just your phone and your computer anymore, either. 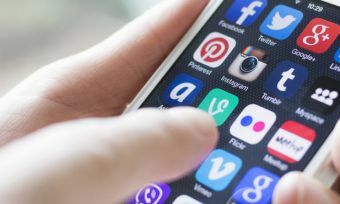 Home appliances, door locks, security cameras, cars, wearables, dog collars, and so many other immobile devices are beginning to need a connection to the World Wide Web. This is called the ‘Internet of Things’ (IOT), and it’s more than just a buzzword, but more on that later. Vodafone Chief Technology Officer Kevin Millroy said that a 5G network will be a fundamental leap forward in mobile network technology, bringing with it the power of the Internet of Things. He emphasised that while Vodafone’s 4G network is better than ever, and continually improving, at these growth rates, the industry is still searching for a solution to support higher volumes of data traffic. What 5G demonstrations were conducted at UTS? Using 200MHz of spectrum, the tests produced download speeds of up to 5GB/s. To put this into perspective, an entire television series such as Game of Thrones can be downloaded in high definition in just 10 seconds. Latency refers to the speed in which a packet of data gets from one device to another, which is crucial to the future of the Internet of Things (IoT). In this test it was just 3ms. This becomes crucial in technology such as connected vehicles, where live updates of a car’s position can be communicated to other vehicles. The Internet of Things (IoT) is the concept of connecting any device with an on and off switch to the Internet (and/or to each other). This also applies to components of machines. If it has an on and off switch, chances are it can be a part of the Internet of Things. The IoT is a giant network of connected ‘things’ (which also includes people). The relationship can either be between people and people, people and things, and things and things. The Internet part of IoT simply allows people and things to communicate better and to ultimately, hopefully make life easier. The pairing of 5G and IoT could potentially open up the world to a revolutionary, connected way of life. 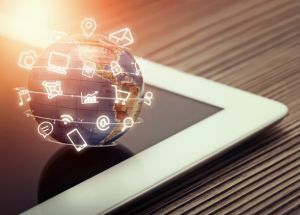 The analyst firm Gartner says that by the year 2020, there will be over 26 billion connected devices. If you thought we were already too connected now, then you’re in for a shock in the not-too-distant future. What’s the difference between 3G, 4G and 5G? As mentioned earlier, the ‘G’ stands for ‘Generation’, but beyond that, what’s the difference? 3G was developed and released to the public in the early 2000s. Following on from standards set in the 1980s, and the introduction of 2G in the 1990s, 3G was the first real generation of mobile internet to make people stand up and take notice. In combination with smartphones becoming popular in the mid-2000s, 3G proved very popular, and boasted speeds of at least 200kb. This meant that downloading a picture or browsing social media was no longer a chore. 4G was gradually rolled out in Australia in 2011. It was a major leap forward in terms of speeds, with average speeds around 20-30mbps, and topping out at 50mbps. This was good timing because sports streaming had become more popular, and the major sporting codes in Australia began to develop their own subscription streaming services. Since then, 4G has seen the introduction of ‘4G 2.0’, if you will – called LTE. While LTE doesn’t technically follow any standards dictated by the International Telecommunication Union (ITU), LTE can reach theoretical speeds of up to 1Gbps. This makes streaming video and gaming a lot less of a headache. Over the next few years, LTE Advanced will be rolled out and the speeds will most likely skyrocket yet again. 5G is the new kid on the block when it comes to mobile internet, with the tests conducted by Vodafone and Nokia revealing that 5G could yield speeds of up to 5Gbps. Although Vodafone and Nokia haven’t released an exact date that 5G will be available, experts are suggesting it will be sometime between 2018 and 2020. While this may seem like a long time, Nokia’s Managing Director, Oceania, Ray Owen, said that 5G can’t be rushed, as it will significantly affect every industry, creating new and exciting opportunities. Unfortunately you will have to wait a couple more years for 5G speeds, but you want to be sure the infrastructure is built right to handle increased traffic and speeds. Is 5G worth the wait? So despite 5G technologies being off by a couple of years, the recent trial by Nokia and Vodafone was proven very successful. With the ability to access an internet service 100 times faster than the current one, it should be well worth the wait. And if there’s anything that everyone can agree on, it’s that speedy internet is a necessity in this day and age. And what’s more is, with the full rollout of the National Broadband Network expected around the same time, 5G internet means that Australians are going to be one connected bunch.